Once you arrive at Cairo International Airport, you will be met and transferred to the hotel by your concierge. You will stay overnight in Cairo. Today, we will visit the pyramids of Giza, one of the great wonders of the world. 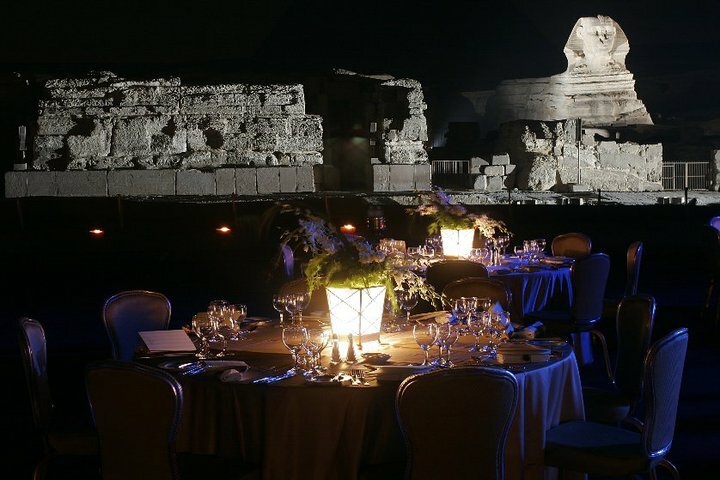 The famous Giza plateau hosts the legendary pyramids and sphinx. After lunch we will continue with a visit to ancient Sakkara. You will stay overnight in Cairo. We devote this morning to the famous Egyptian Museum. Later, we tour Coptic Cairo, visiting the Hanging Church which is built into the walls of the water gate of the Roman fortress and is possibly the oldest Christian church in Egypt. Your next stop is Abu Serga, one of the places where the Holy Family rested after fleeing Israel from King Herod. In the afternoon, we take a walk in the oldest market in Egypt Khan El Khalili to explore the Islamic area and the shops. There are stalls selling many crafts and the smell of spices mixed with perfumery shops all entice you to explore more of the city. You will stay overnight at the hotel in Cairo. Today is a free for you to spend at your leisure. There will be a chance to take an optional tour to visit Alexandria. Alexandria was founded by Alexander the Great in 312 B.C., and was the capital of Graeco-Roman Egypt. Your first stop in this historic city is the catacombs of Kom ash-Shuqqafa, a Roman burial site where a family tomb reveals the merging of Egyptian and Roman art and architecture. Descend below ground to visit the tomb and Caracalla Hall. After lunch (included) you will visit the famous Alexandria Library. In contrast to the ancient architecture found throughout Egypt, the Norwegian-designed building is a striking piece of modern design. A copy of every book published in the world is kept in the library, making it one of the great literary sites in the world. After breakfast you will be escorted to the Cairo International Airport for your flight to your home destination.